Sunday, August 19, 2018. 10 am. For information and reservation form (click here) or contact Mr. Noboru Saito by e-mail (click here) or telephone (248) 585-7982. NEW SIMPLE ONLINE OR EMAIL PREREGISTRATION PROCESS—SAVE $10! NO PENALTY IF YOU CHANGE YOUR MIND! SO SIGN UP NOW! Preregister via email or online and pay at the door and save $10.00! All we need for online registration is your info, we will collect the money on the day of the tournament. This will speed up pool assignments on the day of the tournament. There is no penalty if you decide to withdraw so there is no reason not to register now! To preregister click here to go to the tournament web site and follow the instructions. Evaluate your skill level against peers at your approximate weight, age and belt level. January 5 is the deadline for Konan Spring Promotion Candidates to submit their Form 20 and Background check application. 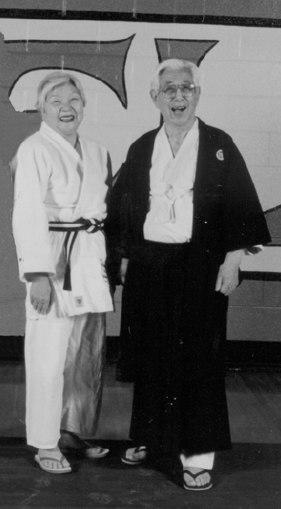 Mrs. Frances Glaze, Rokudan, Chair of the Board of Examiners, USJF A Kata Instructor and USJI Kata Judge. 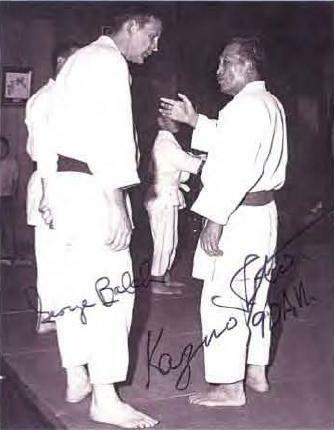 Mr. Don Flagg, Rokudan, Vice-Chair of the Board of Examiners, USJF A Kata Instructor and USJI Kata Judge. Mr. Tom Sheehan, Rokudan, Promotion Committee Chair, USJF A Kata Instructor and USJI Kata Judge. )ther members of the Konan Promotion Committee. Click here for the complete Dan Promotion Instructions. Candidates will review for their Kata and Go Kyo no Waza. We strongly suggest you prepare for the promotion test at the promotional clinic. Those that want to be certified in a Kata must fill out application form plus a $20.00 testing fee that goes to USJF. You must notify Mrs. Glaze that you are planning to test for Kata certification prior to the beginning of the clinic. Only USJF members may be evaluated for promotion and certification. Candidates must submit their Form 20 to Mr. Tom Sheehan, Promotion Committee Chair and to Mrs. Frances Glaze, Chair Konan Board of Examiners, for the promotional exam no later than January 5, 2018. Click here to create an e-mail to attach your completed form to and to send to Mr. Sheehan and Mrs. Glaze. Candidates must obtain a Form 20 (Click here for Form 20). A Background Check must be submitted to National Office by January 5, 2018 for those who are going to be a candidate unless you have one deemed current. They are valid for four years. Click here to obtain a Background Check Form. The Registration Form and Waiver for the Clinic will be available at the Clinic. A current (less than two years old) SafeSport Training and CDC Head’s Up Training Certificates must also be provided. Click here for the Workshop Registration Form and Waiver. contestants must have the proper ID from their home country. Just a reminder – Save money by pre-registering for the Great Lakes Open by this Friday. Volunteers needed! Referee, set-up, registration, scorekeeping, tear-down – click here to volunteer. Just a reminder – hope to see you all at the Great Lakes Open this year! Saturday, November 4th Grand Rapids Michigan. Click here for registration packet. Please help us plan for this event by registering your party by Friday, August 11. If you are unable to attend, but wish to support MJDA in memory of Mr. George Balch, please contact Mr. Noboru Saito by e-mail (click here) or telephone (248) 585-7982. Soon they will posted here on the State Games website.